Over our past years of experience, we've learned what makes things go smoothly and stress free. We would like to request your participation to help our service for you run as smooth as possible. Traffic, rain, changing schedules, assignments that take longer or shorter than expected are all reasons why are unable to commit to specific start times. By not holding us to specific times goes a long way in alleviating stress for you and our house cleaning employees. We would request that a key be hidden, given, or placed in combination lock for our maid service to operate. The choice is yours. We provide our own cleaning materials and equipment. If you chose for us to use our own, just let us know. The exception happens when your team member is sick, takes. No matter what, your cleaning will happen as scheduled. House Cleaning can be a very subjective experience for the customer. For that reason, we ask that you call in any concerns to the home office so that the management can get to know your concerns/expectations. We also would request that a professional distance be kept with the staff. Direct communication regarding scheduling or house cleaning requests can be best executed by notifying the home office. 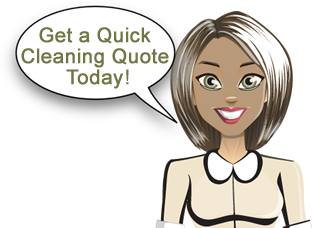 It usually takes us longer to clean the house the first time because there are areas of the home that cleaning that haven't been cleaned in quite a while. We do not claim to be perfect. We will listen and rectify any disappointments right away. We will come out the next day right away if you feel strongly about an item. Also, we do unannounced quality checks on the house cleaning staff to ensure dedicated, long term service. Aquastar Cleaning Services is very careful with your personal and most treasured possessions. We are fully protected with a liability insurance policy and bonded. There are no complicated contracts. You are never bound to our services. We do, in fact we will not even consider the staffing of a new house cleaner unless they have verifiable references and a stable previous work history. House cleaners must be bondable which means no felony convictions. We also do random drug testing.